When Omega CEO Raynald Aeschlimann recently visited Australia he brought more than just one of the world’s most glamorous women with him. 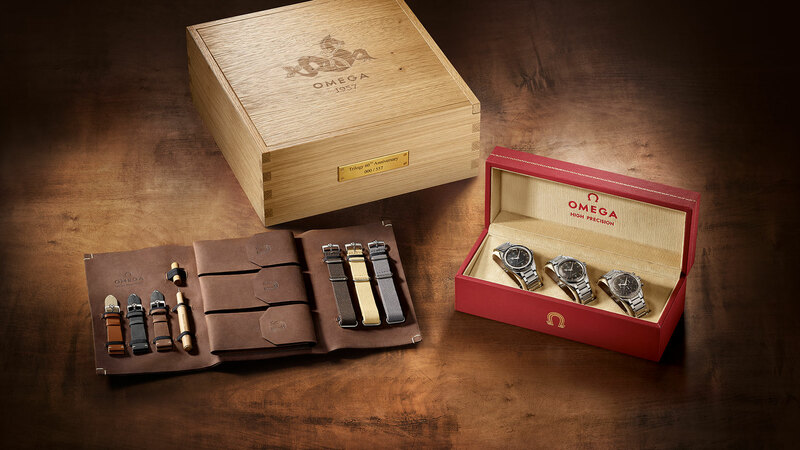 He also gave us an exclusive preview of the Omega 2017 releases. The new boss needed only one take to deliver the news straight down the barrel of the camera, albeit in a hushed voice while Cindy was being interviewed upstairs. A serious professional. While we’ll leave the detail to Raynald, let’s just say that there are new Aqua Terra models, a bold new Planet Ocean ‘Big Blue’, a Speedmaster ‘Apollo XVII’ limited edition, and last but definitely not least, there are incredible new versions of the Speedmaster, Railmaster and Seamaster, offered separately or as a box set.